Olga from Kid Approved is another one of the designers behind willow & co pattern collective. Their first pattern collection, Wanderlust will be released next Tuesday, April 22nd. These ladies are seriously AMAZING! 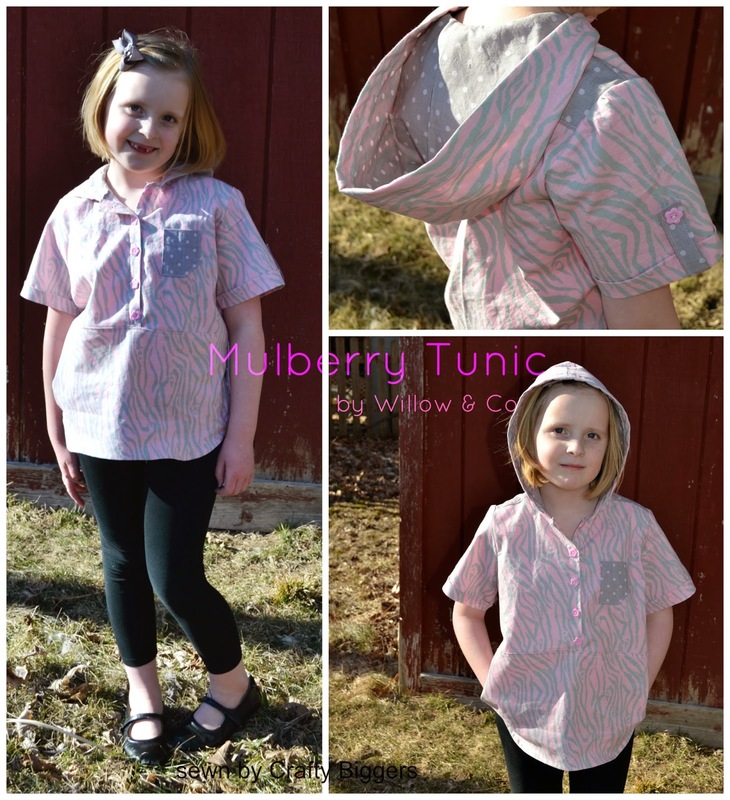 This particular design is the Mulberry Tunic. It has so many options. There are long or short sleeves as well as with or without the hood. The pockets are optional as well. My favorite part about this pattern is the little details and the overall quality of the pattern. The little front pocket, the way that the sleeves are constructed. It's just adorable. This is the size 10 with no adjustments. Maddie is almost 7 and very particular about her clothes. She picked out this fabric a while back and she decided this was the perfect fabric to use it on. We are currently going through the toothless phase and I think it's about the cutest thing ever! Hope you enjoy this little sneak peak. I like it! Great fabric choice Maddie! I love it Erin! How cool that she picked her own fabric! Thank you some much! It looks great! Thanks for letting me test. She is so funny about styles and fabrics and she loves this! Thank you. She is all about comfort and lives in leggings and skirts. Cute! I really like the fabric! Thanks T'onna. That's so sweet of you!